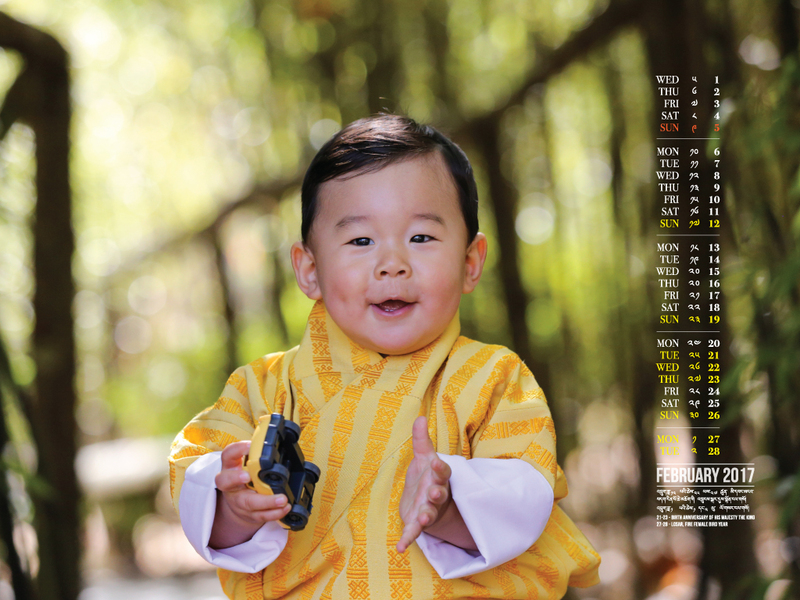 February is the month of new beginnings- Bhutanese celebrate Losar (27 Feb) the New Year in the Bhutanese calendar, amidst pink sprinkles of peach blossoms. 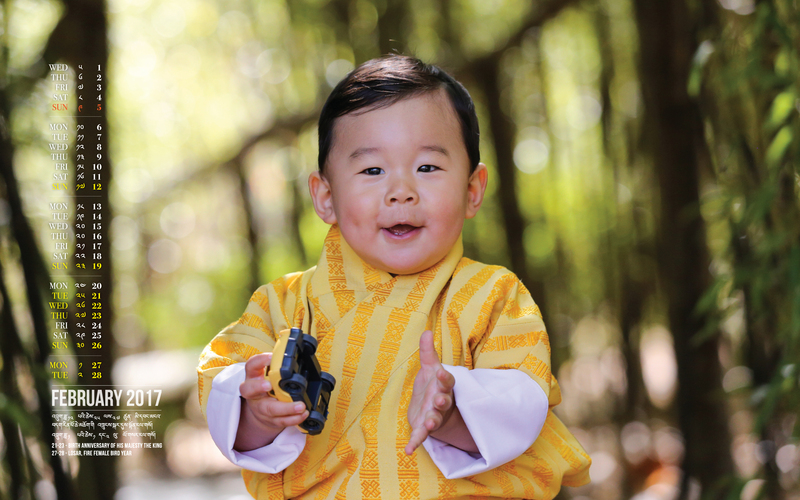 In February we celebrate His Majesty’s Birth Anniversary (21 Feb) and also the first birthday of His Royal Highness The Gyalsey (5 Feb). 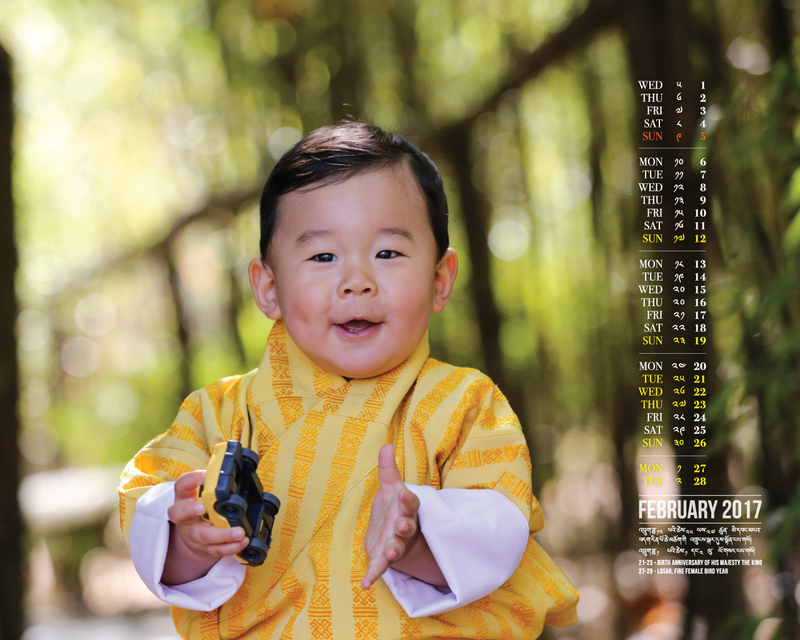 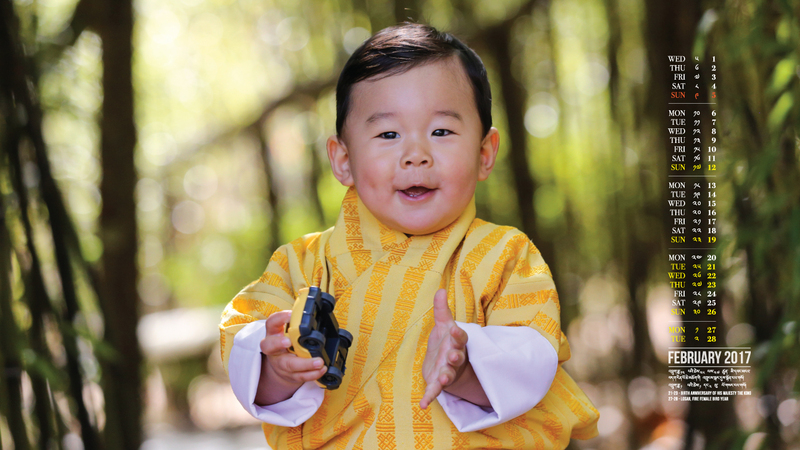 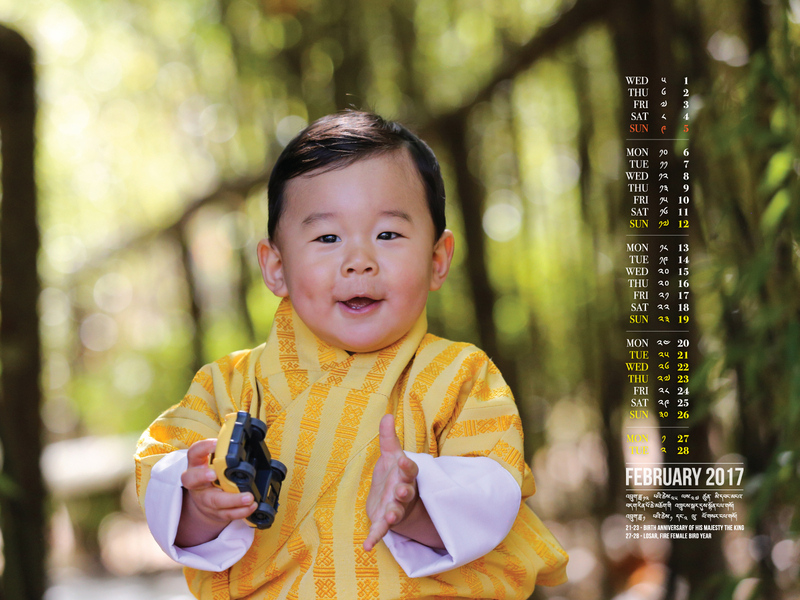 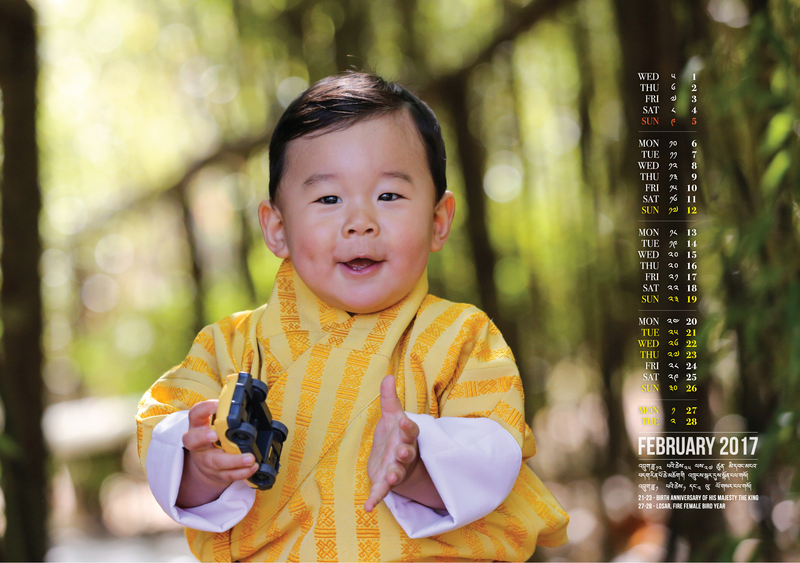 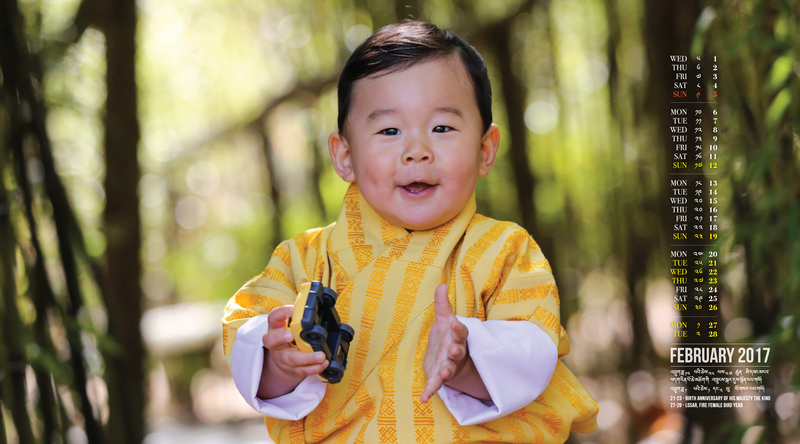 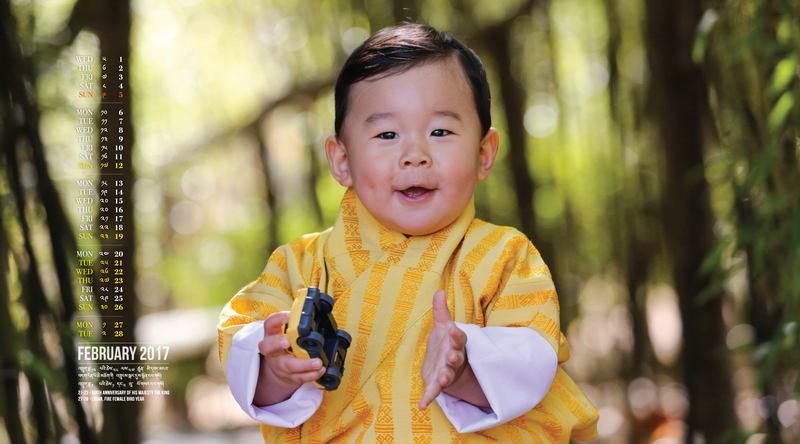 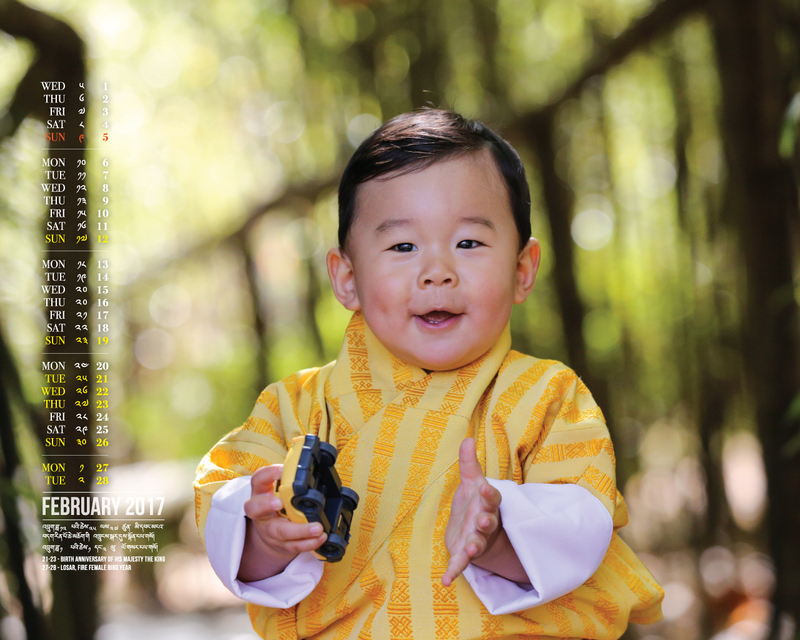 In celebration of these happy occasions, we bring you the February calendar- featuring this photograph of HRH Gyalsey at almost one year old, which will melt your heart! 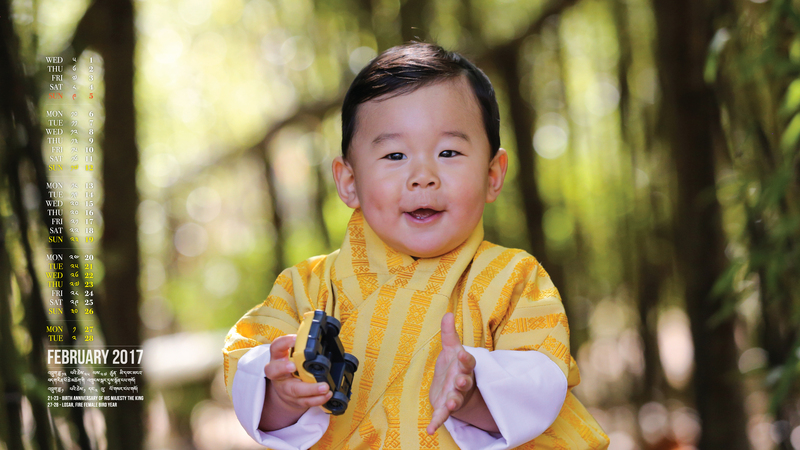 We take this opportunity to offer our wishes, love, and prayers to His Majesty and HRH Gyalsey. 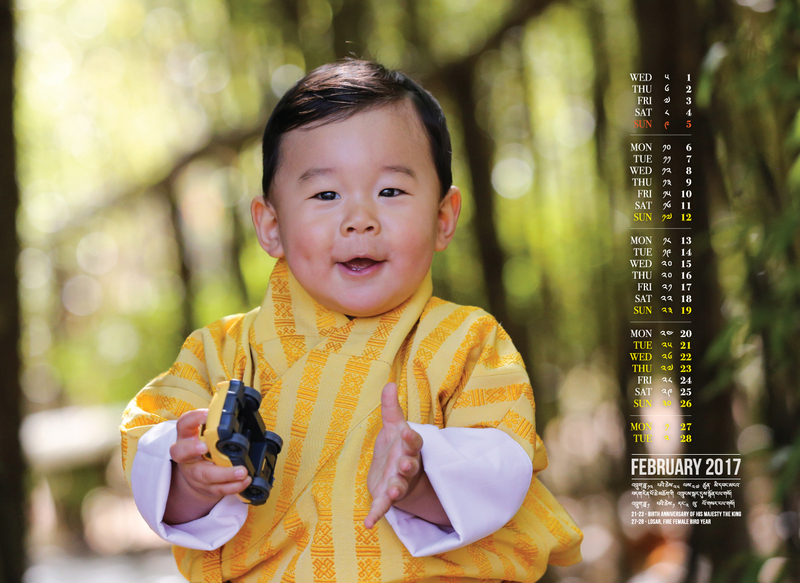 We have designed beautiful calendars featuring Their Majesties to be used as wallpaper for your laptops, computers and smartphones. 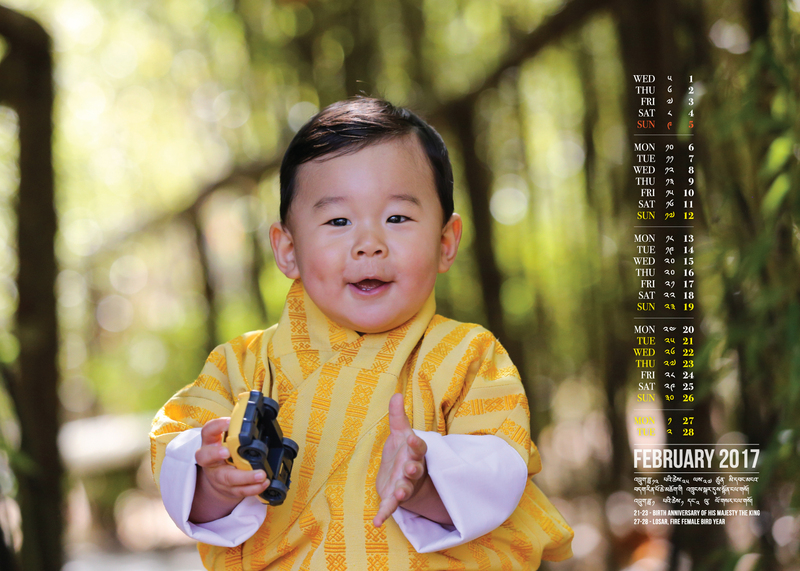 You can download the calendars, which will be released every month, for free. He is Bhutan’s present Son and Future Sun….